Kids will be challenged by the fast pace of Crossword Math whether they are accomplished math whizzes or are building confidence with basic math skills. Everyone takes three tiles and starts building math equations. The first person to run out of tiles says “Take three more!” The crossword-style puzzle can be rearranged at any time. Use the last tile and win! 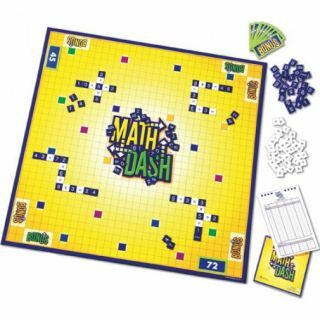 Includes 150 math tiles, game board, score pad, and guide.